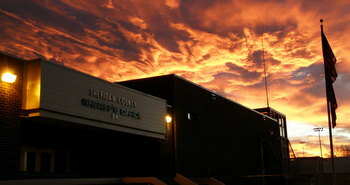 The Sheridan County Sheriff’s Office Records Division is the heartbeat of our operation. Our Staff are dedicated to serving the citizens of Sheridan County, and will often be your first point of contact when requesting services or information from the Sheriff’s Office. Beyond answering some of the more frequently asked law-related questions our office receives, our Records Division is also responsible for processing Concealed Weapons Permit applications, SCSO issued Identification Cards, and Fingerprinting – which is often required when applying for jobs that relate to child care, education, and more. Our Records Division is also responsible for handling all Civil Process papers that come into our office to be served in Sheridan County.